After Aishwarya Rai Bachchan, Lara Dutta recently announced that she is expecting her first child. Papa-to-be Abhishek Bachchan wished her on Twitter. 'paaji! CONGRATULATIONS!!!!!! welcome on board,' he tweeted. Why are these stars disappointed? 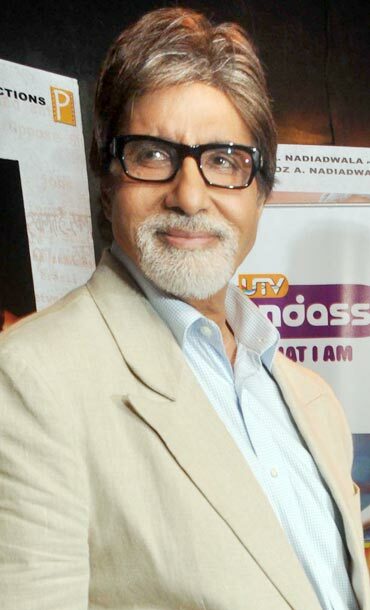 Amitabh Bachchan, who is busy promoting his upcoming film Aarakshan, expressed his disappointment over India's dismal performance in the last cricket match against England. 'An embarrassing defeat in cricket against England ... we stand vulnerable and without answer to our performance ..Sad!' he tweeted. Farhan Akhtar looked at the whole thing differently. 'Lets look at the bright side. We've figured out 10 new ways not to bat in English conditions. All the best for Test # 3,' he updated. 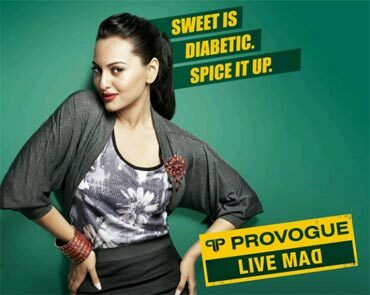 Provogue girl Sonakshi Sinha is busy shooting for its latest campaign. 'Spicing it up for Provogue today! Shooting the kickass new winter campaign... Mauja hi mauja!' she tweeted. Akshay Kumar is also shooting for an ad. 'Greetings from the land of dragons landed in Beijing for an ad shoot. It's bright n sunny... is the Mumbai still dark & cloudy?' he wrote. Director Ram Gopal Varma has started shooting for Department. 'For 2 reasons I am very very happy nd thrilled today ..one of them is that Department starts shooting nd the other is very very personal,' he updated. Karan Johar is gearing up to start shooting Student Of The Year in two weeks. 'I start my shoot for SOTY in 2 weeks...if I am nervous I wonder what the 3 first timers are feeling??' he tweeted. What are these gals listening to? As Genelia D'Souza drove to work, she was listening to the music from her film Tere Naal Love Ho Gaya. 'Driving 2work,patiala looks so beautiful,green evrywhr n listenin 2a beautiful new song of 'tere naal love ho gaya', wat a start 2my day,' she tweeted. Singer Shreya Ghoshal tweeted about her current favourites. 'Have been listening to a lot of indian non-film pop albums, out which I really luv the album 'tera mera pyaar'. Pehla ye pehla, yeh kya hua,' she wrote. Singer and actress Shruti Haasan can't get over Lady Gaga's Bad Romance. 'Why is "badromance" stuck in my head for the past few days?? I'm gagaromamaing all over the place. Tune stuck in my head,' she tweeted. Neha Dhupia shared her latest red hot look from her recent film, Gandhi To Hitler. Minissha Lamba shared the poster of her upcoming film Hum Tum Shabana. Anupam Kher interviewed Abhishek Bachchan. 'With @juniorbachchan who I interviewed @actorprepares for our students. He as always was candid and real. :)' he tweeted with a picture. Sonu Sood posted a picture straight from the sets of his film, Maximum.